Mosso the Rackspace Cloud now has a Drizzle developer image much like the first Drizzle AMI on EC2. The Mosso interface is definitely different, it’s a GUI, and I definitely prefer CLI, but it’s a simpler navigation for a new user. I suspect an API may be available. I had an issue with the backup process, more the lack of feedback. The Knowledge Base didn’t help, so both calling and Live Chat directed me ultimately to the same person. I also found a bug in the backup process, that is being able to select an incomplete backup to try and launch a new server. I talked to Support about and apparently already known. And in true open source form, the Drizzle version is actually one point higher then yesterday’s AWS image. I don’t know how to *publish* this backup so others can try it. Something on the list of things to do, however I was able to verify my backup with a new instance. I have published the very first sharable Drizzle Amazon Machine Image (AMI) for AWS EC2, based on the good feedback from my discussion at the Drizzle Developer Day on what options we should try. This first version is a 32bit Developer instance, showcasing Drizzle and all necessary developer tools to build Drizzle from source. Drizzle has been configured with necessary dependencies for PAM authentication, http_auth, libgearman and MD5 but these don’t seem to be available in the binary distribution. I will be creating additional AMI’s including 64bit and LAMP ready binary only images. The following example shows using drizzle on this AMI. Some further work is necessary for full automation, parameters and logging. I’ve raised a number of issues the Drizzle Developers are now hard at work on. Description:      Errmsg Plugin that sends messages to stderr. Description:      UDF Plugin for Hello World. Description:      Logging Plugin that logs to Gearman. Description:      Logging Plugin that logs all queries. Description:      Logging Plugin that writes to syslog. Compiling libdrizzle is a rather trivial task. The following are the steps I undertook on Ubuntu 8.10 Intrepid 32 bit. There was one pre-requisite from the most basic installed developer tools. I added the following to enable other programs using libdrizzle to find the libraries in the system path. A number of developers had problems on Friday at the Drizzle Developer Day with compiling bzr. The distro in question I was helping with was CentOS 5 32-bit. I had no issues on CentOS 5 64bit. Today while creating the first deployed Drizzle AWS AMI I discovered the same problem using Ubuntu 8.10 Intrepid 32 bit. The solution was actually rather trivial. Installing the python-dev package solved the problem. Use "build_ext --allow-python-fallback" to use slower python implementations instead. I joined about 50 others including a number of core MySQL developers and MySQL community members today for the 2009 Drizzle developers day at Sun Microsystems Santa Clara campus. In addition to a number of presentations and various group discussions most of my individual hacking time was under the guidance of Drizzle team developer Stewart Smith were Patrick Galbraith and myself started the porting of Patrick’s memcached UDF functions for MySQL. I’ve just successfully configured Drizzle with the PHP Extension and successfully retrieve data to present on a web page. Qudos to Eric Day for his work. I was able to identify a problem with the current tar release, and a quick confirmation on #drizzle at IRC confirmed a fix had already been commited. I’m looking forward to evaluating WordPress and Drupal, two popular and common LAMP stack applications that run on MySQL, and to provide any feedback to the community for future support of Drizzle. When you have to evaluate a MySQL System & Environment, what questions do you ask in order to determine critical information about the environment and evaluate the business success and viability. You don’t have to be a consultant to ask these questions, ask them of your own environment. Do any of the answers shock or concern you? Here is my list of questions for you based on an immediate response from this discussion? What is your full technology stack, i.e. Operating System, Database, Application Server, Development Language(s) and other essential components? What are the versions of these technologies? What new technologies or versions of existing technologies are you presently evaluating? What is your Backup and Recovery strategy including your Database, Application and Administration? Have you tested your Backup and Recovery strategy? Have you really tested your Backup and Recovery strategy from end to end? How long ago? How long did it take? What RAID do you run? Have you physically verified that? When did you confirm you are not running in a degraded RAID situation? What does your website look like when it’s unavailable? What is the physical content on the website. Let’s pretend your entire data center is unavailable for 40 hours. Have you ever had a major disaster? What did you learn from this experience? Do you use a version control system? Which one? Is everything under version control? Do you have a controlled and reproducible build and release process? Is it automated in any way? What are your levels of testing. Unit test for coding? Regression testing for new features? Volume Testing? End User Testing? Do you have a proper test environment (which is not production) where you can accurately evaluate production software and production problems? How do you know when there is a problem with your site? Do you have monitoring and alert notification in place? When you have a performance problem, can you evaluate if it is new, re-occuring or a gradually worsening problem? Can you roll out new features without taking your website down for general use? How long would a customer stay with your site if it was unavailable? Can your clients be satisfied with the Twitter “failed whale” approach or will they leave? When will your system crash under load? Do you know this figure? What is the load today and the projections to this failure point? Given more time I’d probably revise the list, but this was just an initial response. This post is part of 31 Days to Build a Better Blog – Write a List Post. Today, while on the MySQL manual page, I typed in ‘select’ in the search manual box to confirm the SELECT syntax. The result was not what I expected, the “SELECT” command. Instead I only got two options “Speed of SELECT …” and “Optimizing SELECT and …”. I know in the past just entering ‘SELECT’ worked, because I’ve been presently writing tests on JOIN syntax and I wanted to link in my blog reference. I have always been a strong advocate of good testing of any system. I started on a project last year with Drizzle to produce coverage tests to facilitate verifying syntax and helping in comparison with MySQL. From my extensive experience in code generation from the past 20 years, I produced about 3 years ago when at MySQL Professional Services a Java based solution with a small meta language to automated the creation of a large number of tests. At the time is was some 475 tests and 200k lines of mysql-test syntax when I first looked at validating the Nitro Storage Engine. A number of issues with mysql-tests including the support of multiple storage engines had me last year write a Proposed Testing Protocol for Drizzle for further discussion. While the desire for improvements still exists, we can not deny the benefit of leveraging the large amount of scope the current MySQL Test Suite, and so I have started in the creation of tests in this format. My first output is to validate all possible variants of creating various data types in MySQL. This includes the obvious datatype, but also NULL, NOT NULL syntax, sizing with (n) and (m,n), UNSIGNED and ZEROFILL. What my tests also cover is not that the syntax is valid, but also the cases where the syntax is invalid (e.g. you can use UNSIGNED for Character fields). This POC is a small example of what can be produced. The below first test enabled me to easily confirm valid and invalid syntax within Drizzle. This for example helped in clarifying Drizzle Data Types. I hope to be able to use the same framework to confirm MariaDB syntax and MySQL compatibility. A new feature to MySQL Version 5 was the introduction of SQL_MODE to support STRICT… or TRADITIONAL values. This feature enabled a closer compatibility to other RDBMS products. MySQL by default performs a number of silent data changes which do not help in providing a level of data integrity if you come from a more traditional background. MySQL by default represents these as warnings, while with an appropriate SQL_MODE, these are in turn treated as errors. How does Drizzle handle this? Very simple. There is no SQL_MODE. By default Drizzle handling a strict mode of producing errors for any invalid data. The following are some test case examples showing the varying conditions. ERROR 1685 (HY000): Received an invalid value '0' for a UNIX timestamp. Thanks to Robert Wultsch who highlighted to me that SQL_MODE has been around since 4.1. Continuing on from CPU, we turn our attention to Memory. One of the first steps when addressing a MySQL performance tuning problem is to perform a system audit of the physical hardware resources, then identify any obvious bottlenecks in these resources. In auditing, I start with the ‘free’ command, the already used ‘vmstat’ command, the /proc/meminfo and /proc/sys/vm/swappiness files to get an indication of memory and swap resources. While we are looking at the Memory, the configuration of Swap is also very important. I will discuss this in more detail later. What’s important is not to believe that ‘free’ or ‘MemFree’ values are the total free memory. Linux/Unix distributions use available memory as a File System Cache, dumping this data if additional memory is needed. It’s important to add Cached to get a better indication of the true memory available. Your initial audit should also look at the processes that are using the memory. Options include ‘top’ and ‘ps’. vsz VSZ virtual memory size of the process in KiB (1024-byte units). Device mappings are currently excluded; this is subject to change. As I have written about previously, Are you monitoring RSS & VSZ?, these columns are important and should be monitored appropriately. Regarding Swap. This is pre assigned disk space that is used to swap out (dump) memory processes when you have run out of memory for all the running processes. You never want to run out of memory on your database server. Swapping is both extremely slow, and if your database server swaps out the mysqld process, this will effectively kill your database. If you have insufficient swap space for the process, again in the case of database server this can cause your system to crash. Historically in Unix world, swap was always defined as 2x Memory. This also doubled as a place to dump all memory in a kernel panic. I spent time in a past life doing core dump analysis. Today, most Linux systems are ill-configured for swap. If you use a dedicated server for example, you may be limited to what is configured by a third party. The above example shows a configuration I would not recommend where swap is less then 1x the memory. There is also a consideration to have no Swap. By setting swapiness to 0, you are effectively saying never swap. I would also not recommend this. Monitoring memory usage closely is important. Taking appropriate action regarding the mysql process because you can’t control how much total memory it uses is critical. Correctly configuring mysql to use memory optimally is key to a well and long running database server. Next, we will be looking at Disk and Network resource bottlenecks. The Drizzle database, while similar to MySQL includes a number of significant differences. In this post we will look at data types and table syntax that is valid in Drizzle. For more background information you can also review A beginners look at Drizzle – Getting around with SHOW. This comparison is with Drizzle 2009.03.970 and MySQL 5.1.32 GA. More information at MySQL 5.1 Data Types. The following data types are not valid in Drizzle. Tests used the following data-types in comparison with MySQL 5.1. Numeric sizing for INT,BIGINT,FLOAT datatypes is not supported. i.e. INT(1). Very glad about that. The UNSIGNED and ZEROFILL syntax for Numeric datatypes are not supported. Another difference is the lack of the CHARACTER SET syntax for character fields. Drizzle only supports the UTF8 character set for all text fields. This also differs from MySQL, as it is a 4 byte field, not 3 byte in MySQL. Collations (the COLLATE syntax) is still supported. Perhaps a new MySQL 6.0 collation that is in Drizzle is ‘utf8_sinhala_ci’. A key difference in Drizzle is the default storage engine. 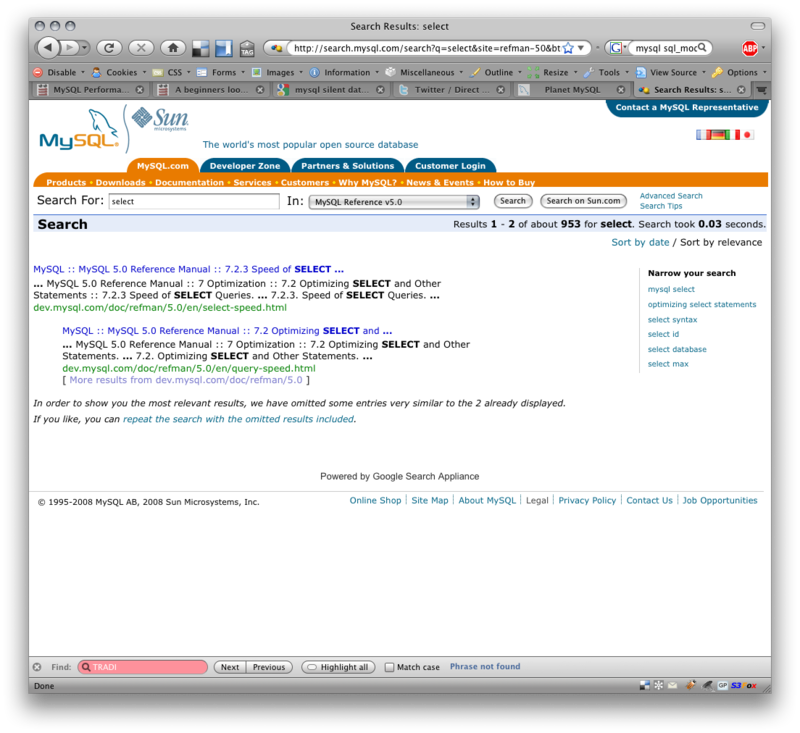 This defaults to InnoDB, rather then MyISAM. MyISAM is still currently packaged with Drizzle, however I hope that Maria becomes it’s replacement. The MERGE and FEDERATED storage engines are not supported. BLACKHOLE by default is not supported, however documentation indicates this can be compiled. 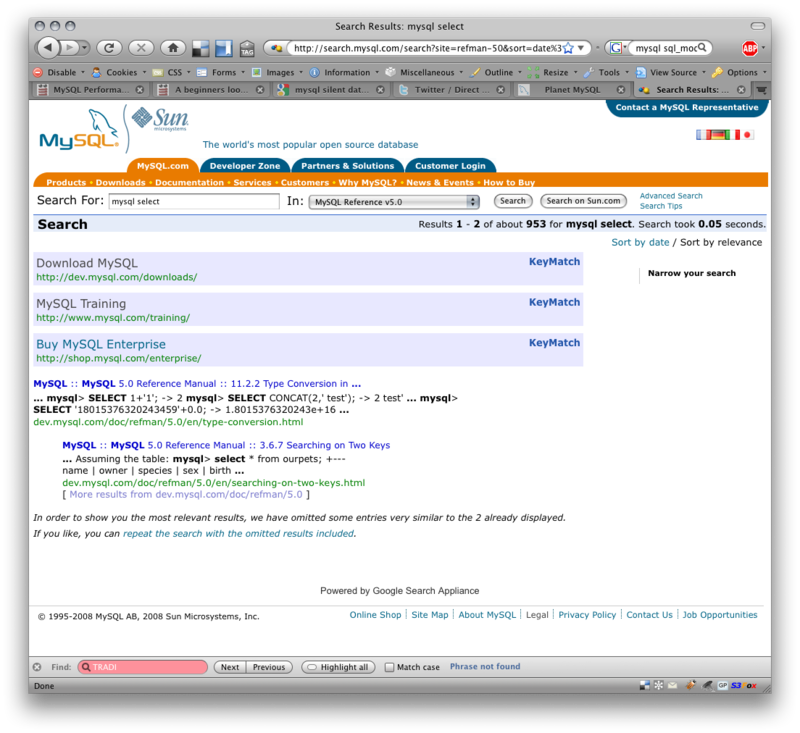 FULLTEXT indexes which is valid for MyISAM only in MySQL is not supported. The following table options are still valid in Drizzle. These were only tested as valid syntax, not any usage of this functionality. INSERT_METHOD, CHARACTER SET is not support. I suspect a number of these could be eliminated, definitely CONNECTION as this is related to the FEDERATED storage engine. VIEWS are not supported in Drizzle. I will need to invest more time to confirm INDEX and CONSTRAINT syntax.